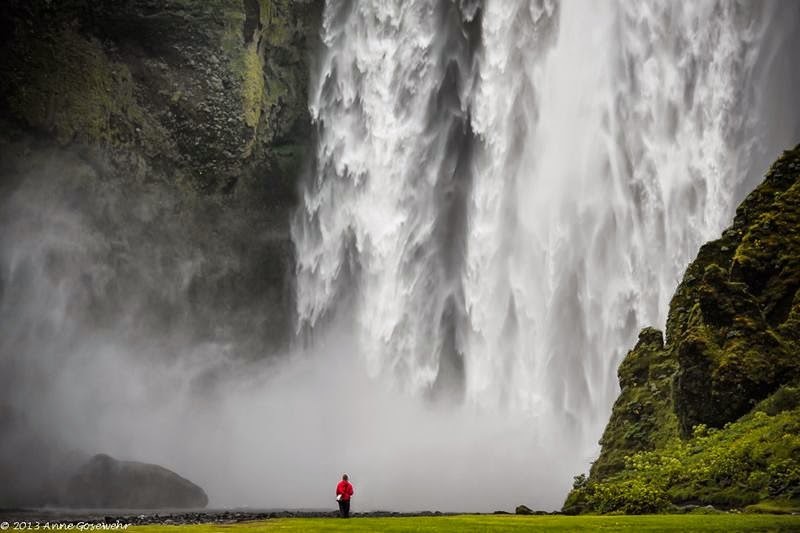 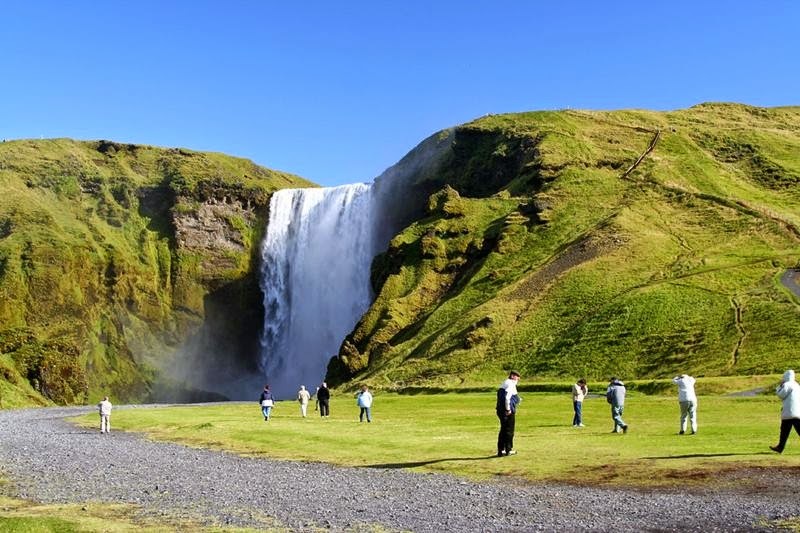 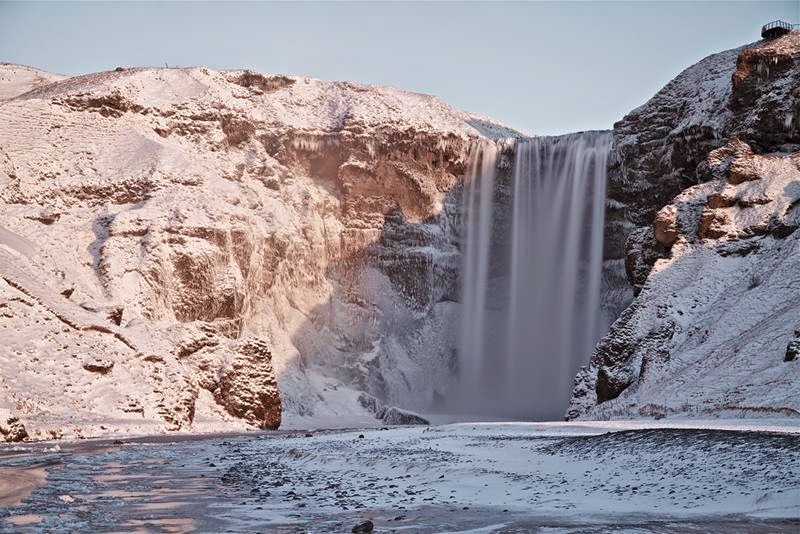 Skógafoss waterfall - one of the largest and most beautiful waterfall of Iceland. 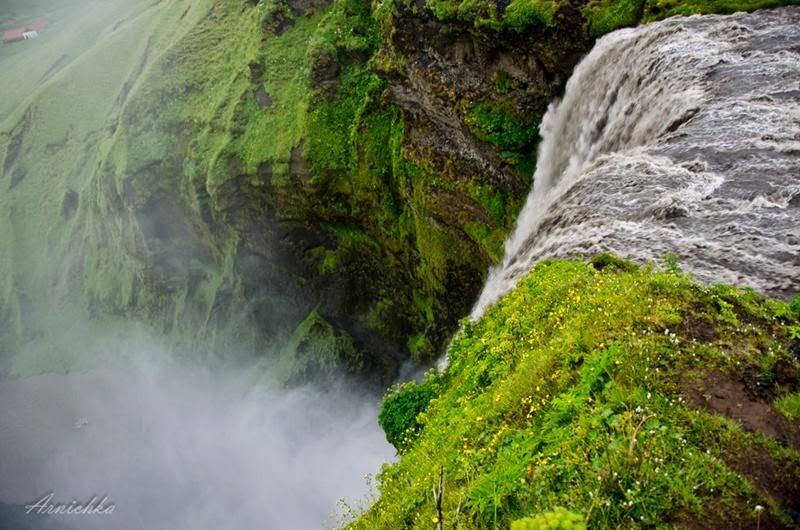 It is located on the river Skougau, and the water falls from a cliff height of 60 meters, width of the stream - 25 meters. 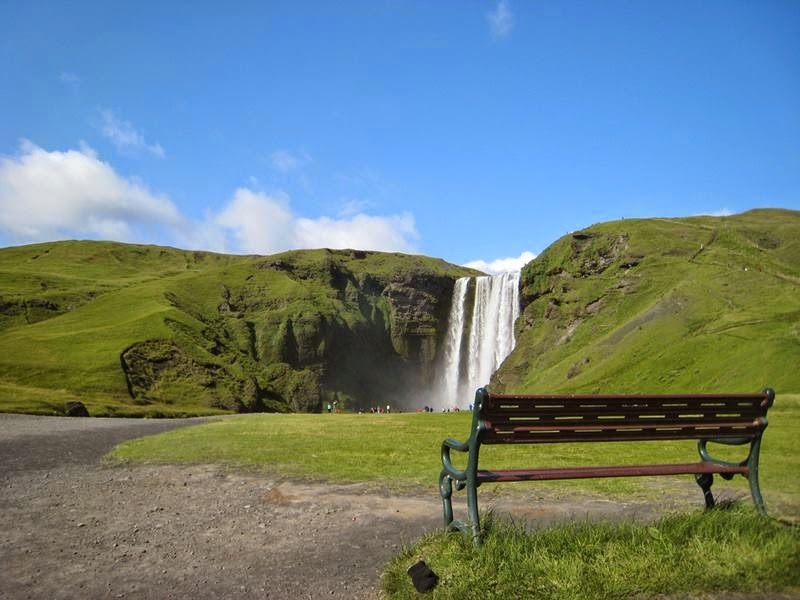 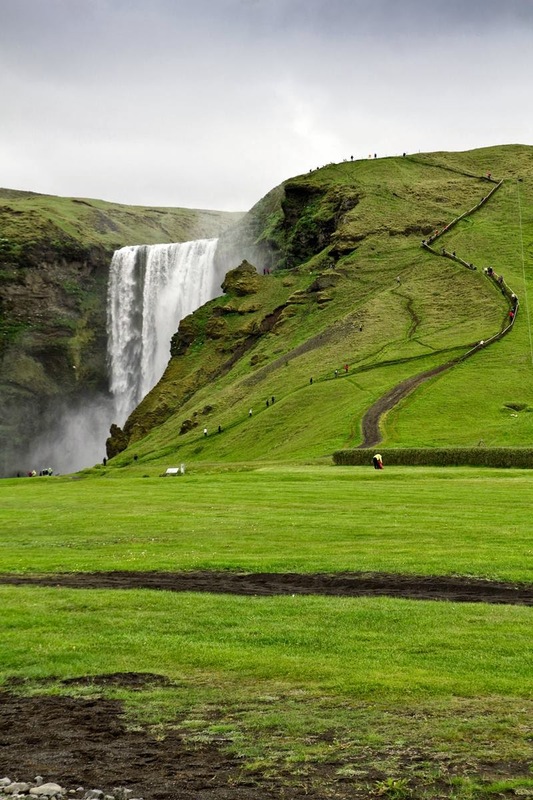 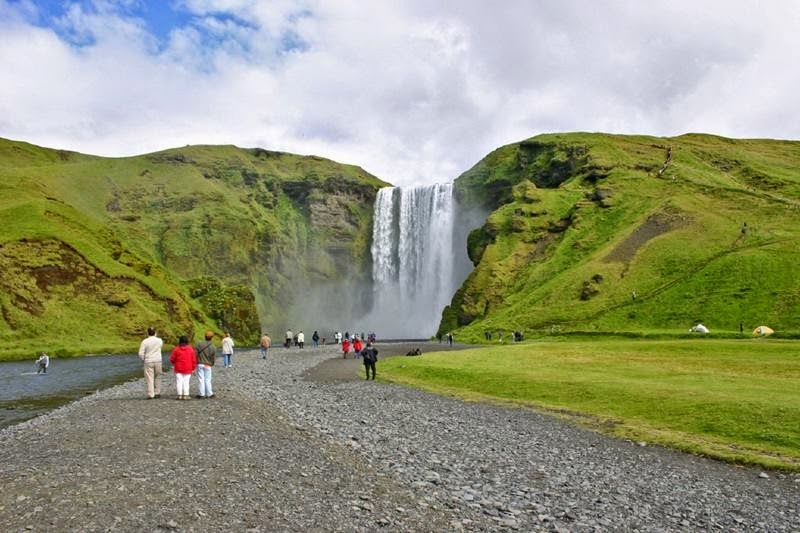 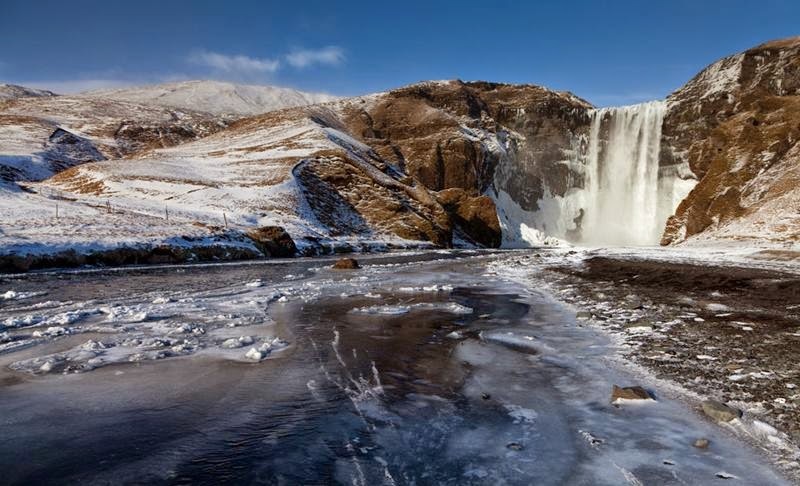 Skógafoss is one of the most visited attractions in the country. 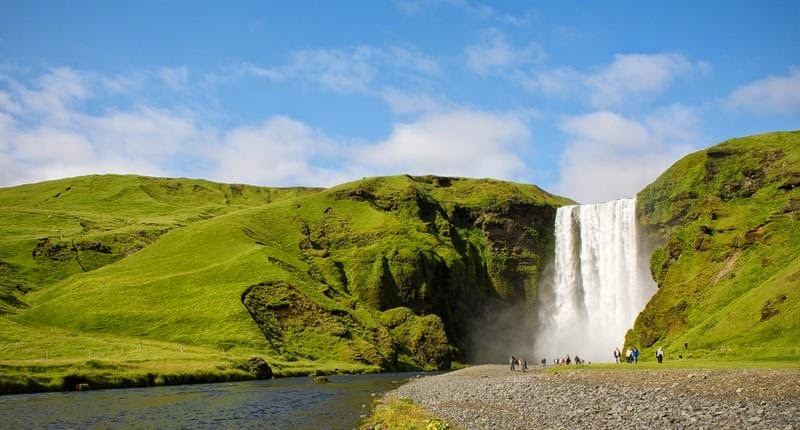 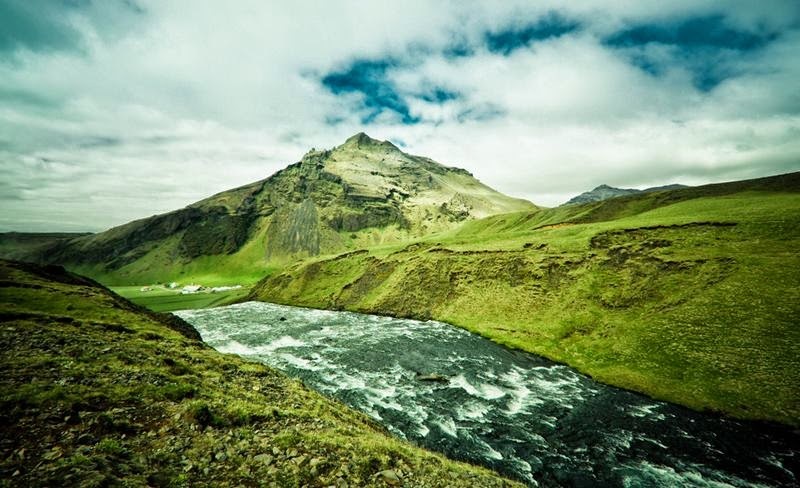 After the coastline receded further into the sea (now it is at a distance of 5 km from the waterfall), remained standing parallel to the shoreline cliffs over hundreds of kilometers, creating together with some high mountains a clear border between the lowlands and highlands of Iceland. 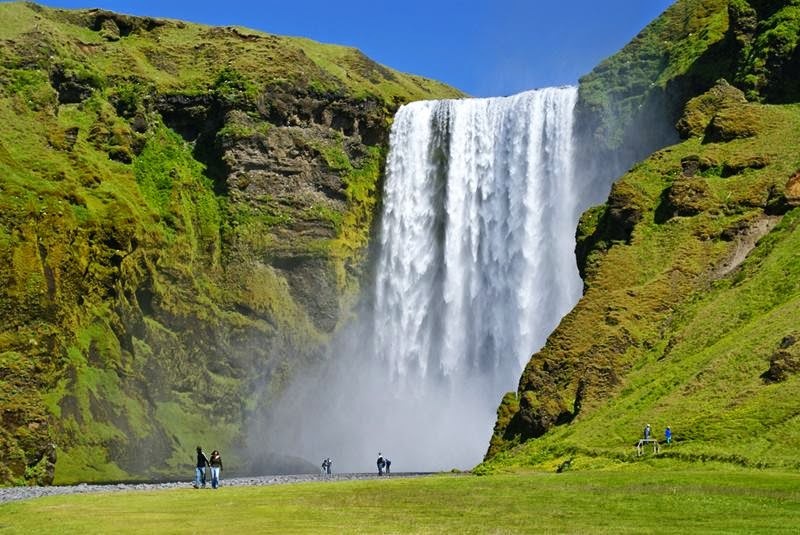 Falls is one of the most famous and most visited in the country.